All tidy on the Workdesk front.. I've driven myself to it; a need to tidy up and get things straight so that I can see what I'm doing. Amazing isn't it; it wasn't clutter city or overwhelmed with papers or the usual sort of WOYWW horror, more that I've been fiddling with more than two or three things and the sum of their parts was definitely greater than even my untidy brain could manage. So this afternoon with the door wide open, the sun warming my face and The Beatles causing me to whistle, I cleared up. And I finished the three unfinished things and gave myself permission to put away the non-starters for another day. I feel a little more in control now. These inchies were coloured with my Ciaos and although you can't really see, each one has Glossy Accents on a different section. It's my entry for this week's Daring Cardmakers challenge. And the first inchies I've actually done - from a lovely Autumnal set by Inkadinkado. I don't know how many more - or more accurately, how much use the rest of the stamps in the set will get...I'm kinda struggling to see the point. Fun, I guess, on a smaller scale than a card or an ATC. Probably no more no less. Ask me what I think when I've seen the hundreds of beautiful samples these Dares attract - I'm so fickle! I guess the real bonus for me was colouring in time! Thank you for your interest in 2 Scrap Ladies, it's exciting. I'm usually involved in an event of this nature locally every year, so you'd think that opening the bookings to a wider audience would be a natural progression, huh. Well it might make sense, but I'm feeling quite exposed at the moment! Still, we have worked hard to dot i's and cross t's and we know the venue works, so actually, the best way for us to deal with it is to bring it on! We'll be posting articles and more pics as the days go by. Oh look! I was moved to stamp and colour a Dolly Mama - for anybody who hits a blog and has heart sink because the first photo is a cute girl of the genre that I've over discussed! I used my Ciaos for this - am getting slightly more confident. Whilst I coloured and made an enormous mess of my desk wrestling with a tiny flower made from acetate, Mr Dunnit used the computer. In this here workroom. Where I am. I like that. Here we are, mutually silent, but together. He was checking bank account stuff and practising his blank stare. I was colouring and cutting without an apparent care. All front of course. For we had agreed that the last part of the re-modelling of Miss Dunnit's room could be put off no longer. And we planned to go to Ikea. Southampton's is a new branch. We took the works van, parked in the big vehicles car park and the less fit of us offered silent prayers for the flat escalator thingys that haul you up four floors to the entrance. We got there 15 minutes after it opened. It was packed. Well actually it wasn't, but almost everyone was as usual, standing still in the entrance area of the shop- right in the way of anyone and everyone. I have to be jovial and encouraging instantly, or the mild mannered and patient Dunnit man turns into impatient-boy-shopper and it all gets tedious. Really, what can you do? We snake past the stationary customers and begin our quest; Miss Dunnit changed her mind when she saw the dressing table in the flesh (thank you, Lord), and Mr Dunnit bumped into someone he knew, so was able to have a satisfying man-grunt type conversation while we wrote numbers down. It took time, it was busy, but it wasn't so bad. The coffee was good too. I thought he was a gonner when I got chatting to the people who sat next to us in the cafe - Mum and Dad and three children. The Dad said that they came for an early lunch and a wander round to get the kids out of the house. I thought Mr Dunnit was extremely composed, considering his earlier opinion of people who were wasting their day and getting in his way! It's a bit of a national sport really, isn't it - wandering around big shops for something to do! So as I type, they're upstairs putting together the first item. There's a long way to go. I'm staying out of the way, apparently cooking tea. A roast chicken cooks itself though. So the big announcement has gone up over at 2 scrap ladies. I am one of the two and we will in due course, talk about ourselves over there and the madness within us that drives us to lay on these events. Meanwhile, please check it out, consider it....wouldn't it be fun to meet?! Or scarey? Both probably! I have housekeeping to do too, and am ashamed to say that I'm very late in my acknowledging three awards. Jane at The Happy Papercrafter and Ann at A Mad Scientists Musings were both fooled for long enough to pass on a share of awards pictured in the left column. Thanks. Their opinions are valuable to me and I do love to be flattered. 1. I don't like White chocolate; I consider this a confession. 2. On the other hand, I've never managed to need the re-seal facility on a big bag of maltesers. 3. I've tried 'em all, and actually, I'll have a filter coffee with cold milk, please. 4. Really, my life was changed by the invention of mineral powder foundation. 5. Mr Dunnit married his first girlfriend. I'm still rather insanely proud of that!! Do you have any? I bet you do. I can't help myself - I always photograph lovely flower arrangements and never do anything with the pictures. I get stuck with a particular colour and don't notice that it's included in almost everything I do for about a week - tricky for a workshop when every card is pink - too boring! I micro-obsess about new products, two ways - they either sit unopened on my desk for ages (say, days) or I use them to the point where even I can see the overkill on my cards and LOs! 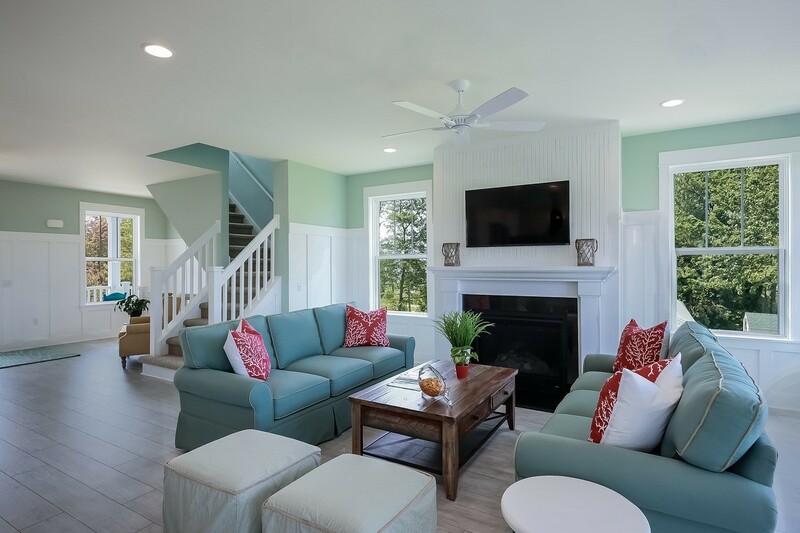 I have domestic micro-obessions too - obvious ones like straight pictures on the wall (I would say artwork, but they ain't), a clean and tidy kitchen (which believe it or not is incredibly clutter free) at all times, aired beds and bedrooms - you know. Nothing that will cause me to stop breathing and the sky won't fall on me. That would probably stop being a micro-obsession and turn into a problem. There's a couple of retail micro-obsessions too that you might like to laugh over - I went through a phase of physically feeling guilt if I left our local branch of Tesco without a litre of Banana Milk, (I do love it, but can't imagine why I should suddenly feel responsible for their sales quotas!) and no matter how huge a shopping trip I'm planning - I will not use a deep trolley. Crazy yep. Some logic - I'm quite short and I'm fat and I can only just reach the deepest part of the trolley - and that causes me physical discomfort and a litle indignity. And you know how dignified I am. You know that from seeing me try to steer the damn thing around the isles. My current micro-obsession is about the web actually, and the tiny space I look around. And it's quite controversial. It is not however, intended to change your mind or mock your opinion; it's simply my opinion, in a whingeing way! I am officially loving the Copic Ciao pens I INVESTED in, and spend some time looking at other people's colouring techniques. Almost every where I routinely look on the web, every other image I see that's been beautifully coloured is a big head, large eyed cute faced girly or a moomin style featureless faced character. Style wise it's been a huge bandwagon, a great success. I know I'm being unkind, but I'm very sick of this stamp/image genre and am desperate for things to move on to the point where they aren't everywhere - I realise I'll have to change my browsing habits for that to happen - after all, I am but one person! So currently, I'm obsessing about something I can't change. Bring back the Dolly Mamas. I like an image with more than doe-eyed attitude! I have something going on over at www.2scrapladies.blogspot.com in the next couple of days...if you may be interested in a day long but perpetual project, check us out...tomorrow and Monday! Now don't get all Christmas on me.. I'm showing you these stunning(!) christmas cards from my 3 year old archive because I haven't done a thing since Wednesday that involves paper, crafting or blogging. Yesterday required a quick trip to school to pick up Miss Dunnit's GCSE results, a pre-arranged coffee and lunch for us both at the boyfriend's home for discussion, celebration, whatever. Lunch turned into afternoon turned into evening and celebration - the weather, the results, the company, the teenagers, the food; everything was marvellous. Truly, the day was not marred by unexpected results (although there were some) and not marred by some anxious discussions (although there were some); more, we were bouyed up by the positive results and the sheer awesome possibility of everything for the kids. It was amazing. Forgive me the indulgence, you don't need a bucket, I'm going to move on in a minute! Miss Dunnit has well, 'Dunnit' and her best is good enough; she's achieved the grades she needs for her next huge, giant exciting leap. Next week she'll be a college student! Good grief - I know how it happened, but really, how did it happen? Particularly as I can still hear myself telling her that the lack of revision at home had better be because she was exhasuted from revision at school! Oh Lord. She hasn't stuck two fingers up at me yet, but she could so easily! So today I have to really force myself to focus: the house is bugging me - everything needs to be done - I think I've got end of holiday malaise mixed with an early dose of new-broom september! 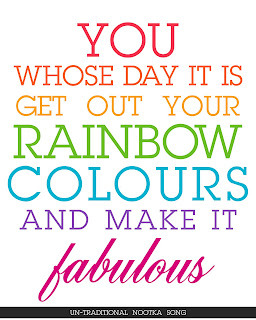 So today will be a doing day. Then, just as soon as the last chore is done, I'm going to turn my back on it all and actually do some of the crafting I've been typing about for over a week! Hallelujah, a plan! Well, not a lot on my workdesk this Wednesday. Actually, the dining table looks slightly more interesting - it has samples on it for the major project that Cricut Queen and I are about to launch. Details to come on that, so please for now, concentrate on my desk! I'm fiddling about with acetate for a workshop next week. Usually I like shopkeeper gal to have these a fortnight in advance so that if they want to know, bookees can see what they're booking a spot to do. But I've had a breakdown of acetate mojo. I started fiddling about yesterday with some alcohol inks and inchy stamps (as you can see), but they got shoved aside just after tea in that lull between being ready for and the Pampered Chef party actually starting. I had a sudden idea for a way to use some pre-printed acetate, so spent a couple of minutes fiddling. Another perspective shows my desk to be slightly untidier than it first looks and a fresh perspective on yesterday's fiddling shows that I need to fiddle more! There's very little doubt in my mind that I am just not the right person for Alcohol Inks. It's got to be a year since I last played with the handful I own, and I didn't enjoy yesterday's re-visit at all...they just aren't me, all out of control, weird colours and what do they do? Colour things. So I think that's kinda made up my mind, huh!! Last night's Pampered Chef party was a success, thanks. I still haven't chosen what I'm going to have. I have a 25 year old kitchen equipment habit, so there's nothing about 'need' going on in my selecttion! I think I've worked out why these parties have petered out a bit too - it's great to get your girlfriends together, but in all polite-ness, there's not much opportunity to actually chat - and in meeting up with your girlfriends, that chat is the prority about the meeting. I shoulda been a philosopher! So show us your workdesk if you're brave enough - even Linda managed to bury hers last week..but we found it and no-one was shocked! Leave a comment here and we'll swing by for a visit....there's a button in the left margin of this blog if you'd like to make your desk-showing-off a public thing! Ah, that'll make a change then!! My sweet sister in law - or at least, she would be if they'd just get on and GET MARRIED, oh how I love a family wedding! Well anyway, the mother of my micro niece has recently become a - wait for it - 'Kitchen Consultant' for a company called Pampered Chef. It's a networking thing, party plan. Tonight I'm hosting a party as a gesture of solidarity to help (I hope) her business. Now in the early days of my marriage, I certainly had and went to my share of these home parties; Tupperware, of course, I also remember Pippa Dee clothes and a pottery - was it Denmead? Then there was Cabouchon jewellery and of course Ann Summers. I think Ann Summers is the only company which has survived - but please let me know if I'm wrong! But time moves on doesn't it, and you kind of grow out of this thing, or your circle of friends stops being involved, or something - but they sort of faded out of my life. I think over the last handful of years, the candles were the only home parties that I had or went to. So the preparation and effort involved had sort of slipped to the back of my mind, and for Pampered Chef, there's quite a lot to do! I have to provide the ingredients for the Kitchen Consultant's demonstration. Now hang on there - who's the customer? Tonight's guests will enjoy a chocolate pudding of some sort, and I will get extra shopping points if I weigh and measure before hand. But hang on - who's the customer? Haven't I just cleaned two bathrooms, thrown the hoover around every room in the house and rearranged the furniture in the conservatory in the hope of at least providing each guest with a seat? I'm not disgruntled, more bemused - the disgruntlement may well set in if my guests, some of whom are lifelong members of chocaholics anonymous, don't get a decent share of the pud - the ingredients you see in the photos have cost nearly twelve quid! I don't doubt we'll have fun; not least because our 'Kitchen Consultant' is a naturally cheerful friendly young woman who loves to cook. Thank goodness! It's a thing about having lived in the same relatively small town I suppose - you know people who 'do' these parties. The candle woman is a very impressive follower of the sales advice they give her - she rings regularly and religiously at the start of each season and needs to be handled very firmly in order to take no for an answer. But on those odd occasions when I can't think of a reason why not, I've had a candle party. Trouble is poor woman can't sell; she's too nice. Almost apologetic when you ask prices and certainly not confident to look you in the eye whilst she relives you of ridiculous amounts of money! And that's the big thing isn't it - the overhead involved in these party sales isn't great, the 'consultants' don't take a huge cut unless they have a hugely impressive 'down-line', so why are the prices so high? Stampin' Up has to be a classic example. Nice stamps, over-priced and always in a set - very frustrating. Perhaps a handful of years ago I would have had the set because there was one or two stamps in it that I liked. These days, I'll do without rather than have one or two I don't like. Big spending difference. Last time I bought stamps I had to mount them myself as well - again - blimey, for the mon ey, aren't I the customer? Tonight though, the advantages are on my side really - Mr Dunnit has decided a food party is relatively safe, so he won't have to spend an evening out of his own home (we don't have bedroom TVs see, so it has been a problem before now) - remember my guilt problem... and better still, it's only polite if the host starts the drinking and eating - it makes your guests feel much more comfortable. Really. working on more than one LO at a time -in order to keep ideas moving and fresh and to try to stop that 'block' you get when you've shuffled the same stuff around on a page for about two days. Well, you can see Angie's results here; I would say for her that as an experiment it really worked. Her pages are as lovely as always, show no sign of being the same or formulaic in any way. I had a bunch of photos from Prom that I wanted to scrap and thought they'd make a perfect subject to attempt. But I failed a bit really. Apart from this page on the right, the others aren't even as far as committed to the page with a bit of glue, and this page hasn't been titled yet. Two huge hurdles for me: I couldn't match the red in the photos at all, and actually, I think trying to do more than one at a time of the same subject was boring. I should have set off with 4 or five different occasions to scrap. Actually, it took me back to when I first started scrapping - I thought that it would be easy and neat to scrap my daughter's life chronologically. The best page is the first page showing her teeny baby footprints; the next few are lack lustre and then there's a huge chronological gap; I stopped scrapping because I thought it was boring. When I came back to it and started scrapping that which inspired me, things changed! Back to the experiment..I'm sure that this is a viable thing for my brain to do - after all if I've emptied every box of stickers and embellishments from their home to do one LO, they might as well be held up to a couple of others at the same time, but I need different subjects and definitely different colours! So watch this space, I'll be having another crack at this. Meanwhile, I've got to finish these Prom LOs...I really am not good at half finished stuff lying about - there's a chance I'll tidy them up and never re-visit them and (and this is the greatest motivator!) Miss Dunnit actually wants to show them to some chums! Gracious me, as if Prom, a boyfriend and turning 16 weren't enough firsts this summer, she's going to publicly acknowledge my weird hobby! These cards formed part of the workshop last week; the one for which I had to formulate the excuse that punches are merely hand-held-portable-die-cutters. They are, so it was OK, no-one seemed to mind! The flowers on this card are punched from an EK Success punch and then a small circle punch used to just nip off the petal edges. Chrissie posted a card using this 'technique' last week, but she used a fancier punch and the results were stunning. I didn't share this card then because I believe that if you're going to pay me for a workshop with a few ideas and refresher techniques in it, you're entitled to be amongst the first to see what you're going to make! All the papers here are My Minds Eye and the stitching is a felt tip. Of course. Although HUGE in the photo this one is actually only 4" square! Uses Bazzill's embossed white card stock, round scallop Nestability and then a strip of grey stock embossed with the Cuttlebug Birds & Swirls folder. The message is stamped - Printworks stamp (a huge fave of mine). Nice straightforward cards that are repeatable and successful in any combo of colours; and the smaller cards are so useful for using up scraps. But I often don't. I lay the stuff on the card base and suddenly get a yearning to cut into a new sheet of something-or-other. Fortunately, often, it does look better. To me. Or could that just be because I want to use the new stuff all the time? Dunno. I'm meant to be in the kitchen. Testing the new oven's baking even-ness. The 'old' oven element blew for the fifth time over 10 days ago and at £50 a pop, it wasn't worth buying a sixth. So then we spent 10 days putting off buying another oven - you know the feeling; you need to buy another, but it's a chunk of cash that you don't really want to part with. The time we waited, you'd think we were expecting them to suddenly become a fraction of the price! It was nice to have a non-hob meal last night I must say, today is flapjacks and biscuits - a test to see if it's the cook or the oven that's burned everything in the back right corner for the last 5 years! Obviously, you'll only read about it if I'm in the clear. I know it's Friday already, because I wrote similar words two mornings ago on Wednesday already. Good grief, you'd think that because I'm always talking about the speed at which the days change, I'd be packing a lot more in! Not so, especially this week for some reason. Before I logged on this morning, I made a couple of cards as part of workshop preparations. Ginny is a guest DT over at Charisma Cardz so I went to have a look see; their challenge is to use lemon pink and green, so the card I've literally just made suits the challenge - amazing. Especially as I intended to do 3 or 4 challenges this week and till today had only managed one - pathetic. Anyhoo, here it is - Paper by K & Co and stamped image by Stampendous. Cheerful paper isn't it? Hey - thanks for all your comments - all the time, but 'specially when I ask ridiculous questions about blog management - like yesterday's link poser. I wanted to know because, well, I wanted to know - it had come up in a conversation with a blog-reader who doesn't write a blog. She (as I, actually) frequently follows a link and then is lost, the original blog forgotten and the will to find it a little dented and tired. Her recommendation to me was to avoid linking if it threw the reader off. Well, like most of you, I link to acknowledge, share and compliment; I didn't, don't and to be honest it hadn't occurred to me to use linking (or not) as a gift, punishment or political tool. Too shallow, can't be bothered, life's too short, blah blah. Well, the boyfriend's back (hey la hey la) and so I'm playing taxi today - happily I must say, but it sure dents the time I have to spend contemplating the thought of doing something. Have a great weekend. - I had two of the three, the brown is the substitute nearest - and after supper last night whilst there was still some real daylight, I had a run at the challenge. Whaddya think? Mind you, even after owning it for 9 years, I still so love the stamp that it doesn't matter - but in my tiny attempt at learning me the Ciaos, it was a good exercise. And that leads me on - how often, when you read someone's blog, do you follow a link? I have to admit, I have to be relatively curious these days - I think I'm afraid of stumbling across more blogs and interesting articles which I feel obliged to add to my Follow list and therefore increase the ridiculous amount of time I spend reading about other people's lives and passions! I've also noticed this as a growing trend amongst the really literate bloggers: - they refer to something and link it, so you have to go and have a look because otherwise you have no clue as to the discussion in hand. Curiosity killed the cat, huh! Many many times I've arrived at a blog or article and the number of links has immediately put me off reading the text. It's a bit like the over-use of an exclamation mark on advertising, for me, it just dilutes the subject interest. 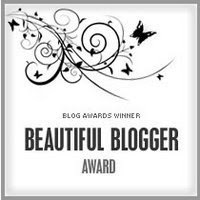 Be honest, when you look at a blog that's been awarded something that has to be shared (luckily for me, like this blog) - do you follow the links provided to visit the blogs of other awardees? Do you? I think it's safe to say for me it's about fiftyfifty. The pay off is of course that you end up stumbling across some fascinating stuff, but I also end up wading through some sites that I know I'll never re-visit. And how do you decide to re-visit? Do you like the first article you read and become a Follower, or do you monitor it for a while? For me it's the first article and the monitoring then goes on through the clever dashboard thingy. Do you link at all? I think in general blog etiquette requires you to link now and then, to point out a good deed or pay a compliment. But is linking a gift, a power even, like the teenagers told me that 'Follow'ing is? Does any of this matter? No. But it's massively interesting to me. Are you using your blog as a power tool? Did you even know that you could? Or have we grown out of that? Genuine teenagers need not reply. I have fleas to sort out for selling at the Flea Market at Kraft Crazy on Saturday. Turns out I have a lot of stash and related items that I haven't used for ever and so I'm going to put it out there! My fleas may well be somebody's pets! Baskets full of shared tools, stamps and blah (one for each card) and blank cards and papers etc needed for the 8 people who are booked in. The baskets get rotated as each card is finished. So you see, my own desk might be a nightmare, but I do like organisation! Tomorrow we're doing 'Cards with Die Cuts' which is really a lot of Cuttlebug and a couple of punches..but even a punch is a die really, we just don't call them 'hand-held portable-dies' so I'm figuring no-one will mind. And if they do, hmm, I dunno! So my workdesk will resort to type presently, I have another project to finish and another workshop to make samples for. But it's going to be warm today and after the carpet guy has come to measure up, we may have to lie in the garden with our books. It might be today's law. Show us your work desk then - no judgements here, we just want to see what you're doing that we're not..and if we're lucky, have a good gander at your stash! Leave a comment here so we can find you, and if you like being part of this ridiculously fun acronym heavy once a week photo session, add a button to your blog - it's on the top left column. It's like a public secret handshake! This just about qualifies as a Christmas card so am gonna sneak it under the wire for the Funky Fairies challenge this week. Under the wire because the challenge changes tomorrow. Honest, I have barely managed any crafting this week..my routine has gone to hell..and I don't seem to care - I suppose a combination of better weather and the total certainty that the holidays are definitely drawing to a close has made me all about doing other stuff. I dunno! Fascinating about the stamps isn't it - no doubt that I use them more because they are in my line of vision..that's why I want the clear stamps in really accesible storage....will report back if I crack it! 1. I've got a 'thing' for polka dots. I have to will myself not to buy ridiculous stuff just because it's dotted. 2. I seem to have a 'thing' for ribbon too. I must have at least half a metre of every ribbon that shopkeeper gal keeps in stock, and that's a lorra ribbon. 3. I don't work well in pastel colours and I really wish I did. 5. I'm useless at waiting for things to dry. Getting better -as in, I will at least use wet stuff now, whereas previously I wouldn't, however effective! 6. I don't love my handwriting but can contrive a slight style for journalling; I am frustrated by people who won't journal by hand. Why? Really, it's none of my beeswax! 7. I would LOVE to have the job of coming up with names for colours - Bazzill and Core'dinations for example. I could do that! Well....such was the reaction to the number of pens in my sudden Copic collection, that I thought you may enjoy a browse through another of my collections. Here are my wood mounted stamps. Photographed this evening with overhead lights and a flash..looking very stark and unfriendly. These are my favourite shelves in the whole house (despite the whopping amount of food shopping that's been put onto cupboard shelves this afternoon). I love wood mounted stamps, they are so handle-able and once you've got the hang, they do exactly what they should. Their upstart cousins may be easier to position and store (ha!, that is not true! ), but they don't have the same attractiveness, weight and gravitas, they can drop off their mounts at a critical moment, they can so easily be pressed too hard and spoil a delicate image, however much you pay, eventually you can't keep 'em sticky and anyway, they don't talk to me as much. Truly, these wood mounted beauties give me ideas just by looking at them. You can see on the bottom shelf is mostly words/text and my beloved alpha sets. Above them it starts to become more random, although I know pretty much where they are. The top shelf which looks a terrible mess in the photo is reserved for the real big stamps and I also hide pressies up there. I bought the Enthusiastic Educator a garden stake 'welcome' sign and put it up there out of the way. Until it fell on me. Scared the bj out of me, but luckily, didn't damage me - well, I was quite embarrased by my foolishness, but I should have been, huh! Ahh, a digression; I don't think there's been one of those for a while! Back to the stamps if you can bear it: this collection is a mere fraction of what it used to be. Remember I had a shop at one point, and for 5 years I collected with well, with abandon. I miss the many that I've parted with, but am rather smug that I manage to keep my collection manageable these days. The un-manageable part of my stamping obsession is the clear stamps. I am currently driven mad by inadequate storage and am at a loss as to know what to do. Ideally I want them to be with their superior cousins in my line of vision, but how? Ideas welcome. That is, ideas for storage, not your ideas on how spoiled I may or may not be. Kit, Ally and Chrissie have had a visit from the boys and been convinced that sharing these awards with this blog is as good as an idea gets. Thanks bunches gals, for thinking of me. And Mr Dunnit thanks you too; since I started this blog thing, he doesn't have to listen to nearly as much whingeing! There are rules attached to the Kreativ Blogger award, and they rather terrifyingly involve further revelations! Ha! I'll post these seperately, need to think about them! 2. 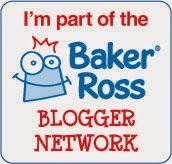 Copy and add the award logo to your blog. 4. Name seven things about you that Bloggers may find interesting. 5. 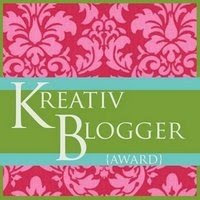 Nominate seven other Kreativ Bloggers for this award. 6. Link to the seven. 7. Visit the seven and leave a comment to say they've been awarded. I mentioned my new Copic collection some time this week. I think I've had them a fortnight now, and so decided that today will be the day to really talk about them. Because as you can see, I didn't just buy one or two, and I didn't stop at a handful, either. There's a very distinct and identifiable psychological 'thing' involved in this (and many other) purchases. Now, you need to understand that it isn't snobbery, prejudice or arrogance, but oh, I can't bear jumble sales or more generally, shop Sales. I loathe the overstuffed displays, racks and aptly named 'dump bins' and I hate having to work hard to find the bargain. Also, I'm not patient at making choices when it comes to a product that I'm going to have more than one of - ink pads for example, and the case in point - pens. I blew all, every penny of my birthday money and workshop 'fees' for a month to buy this set of Copics. Because I just could not face choosing the first, say, ten. I just didn't know where to start. So I didn't. Shopkeeper gal saw me losing the will to live and suggested I took every third colour as a really fine introduction. It was she who pored over the colour list and made recommendations. It was me that stood in front of the monumentally beautiful, organised, colour graduated display and ignored everything she said until I heard the magic sentence -" you could buy the whole lot in two separate sets". So I've got set A. I do like them very much and I'm learning the best use of them, but I think rather grandly and ultimately - the best thing to do is colour with them. I have gone to the trouble of sorting them into the colour groups (as indicated on each pen in a letters/number reference system). This has made a lot of sense when looking for the blendables and of course, when you're trying to remember the colour wheel rules. Other than that..hmmm.. I'm storing them lying down - then the ink won't be favouring one end or the other (but that just may be delusional!). I've barely used the chisel tips but I like that they're there. I doubt if my conscience will let me use any other colouring medium for a while, so if it's cards you like to see on this blog, brace yourself, I think there's going to be a lot of colouring in. How else will my conscience let me clear another set of pens into stash history? That's the thing about me and birthday money, it just bought me more guilt. The gift that keeps on giving! This LO is a direct result of my being lazy. I know, if you're a regular visitor you will be unsurprised, procrastination and lazy crafting are two skills of mine, and I have a lot of skills! Back to the point (you wish) - this is another photo that's 20 something years old (gasp - from the eighties - you may recall this post and the LO I did with old-ish pictures). It is the fourth picture from one occasion, and one that didn't fit with the story that the other three pictures tell. So because I'm too lazy to tidy up properly, it became easier to use it on a LO than put it away in the proper place, which by now has been returned to the archive section of the house. And actually, I'm quite glad it got to that point - I like it. Of course I love the subject matter, for Penny & Bill are my beloved parents. Beyond that, I love that it actually only took me about 10 minutes to come up with and another 10 or so to cut out, stick on and journal, which is actually a minor miracle for me. Mostly though, I love it because the dress that my dear Mama is wearing in the picture gave me a light bulb moment and meant that I was able to use some of the Citronella papers from the pad that I bought without having a single need or reason to have. So there you see - a genuinely good reason for scrapping old photos and even better, a justification for downright greedy stash buying. Any probs that need my logic - you pass 'em by this blog and I'll see how I can er, bend them to fit your requirement! Two angles today, my first picture (on the right) didn't show the pile of 12 x 12s that will be a work in progress later - I hope! And then nor did my second picture really,(they're under the black and white glasses case) but at least you can see the left worktop that becomes the area where things spill onto when I'm trying to tidy up ! The coffee is a morning addition, otherwise, again, this is as I left it last night. Although as the light is on and this is August, it does seem dark and dull again. Lordy how I'd love a string of bright sunny days! I've been fiddling about with the challenge from Daring Cardmakers. They posted some links with the challenge for using the Cuttlebug to create a flip flop card and Iwas very taken with the idea..so I tried it on a variety of shapes and materiala. Here's one made in acetate, with a die cut decoupage character from Jolly Nation. The dificulty with the acetate is that it doesn't like to be folded particularly and scoring it heavily isn't really an option for this sort of card - if it gets'over-worked' it'll fall apart. Anyway, it's fun in acetate but the potential in cardstock is even greater I think. At least the fiddling about has led to a challenge completion! I like the Daring Cardmakers challenges and usually try them at some stage during a crafty week; I usually miss the deadlines though. Sigh. Some weeks are so much shorter than others! The other difficulty for me is finding somewhere to photograph it - mostly my walls are as cluttered with stuff as my surfaces! So - What's On Your Workdesk today? Go on, set aside worries of untidiness or lack of productivity and let us have a look at your surfaces! Leave a comment here and we'll visit! 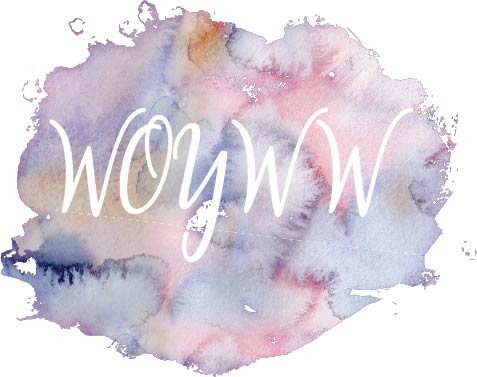 If you like the idea, join us weekly - add the button at top left to your blog if you're brave enough to be identified as a WOYWWer! Now I don't want Ginny to think I've gone all challenge-centric, but she made me buy a file of digi stamps from Funky Fairy and so I thought it would be rude not to have a go at a challenge - and it was a challenge too. I've finally caved in and bought Copics and as you can see, I'm not on top of the whole blending thing yet! But honestly, black and white is a challenge enough for an old gal like me who likes anything as long as it's bright! All that moaning over with - the little fairy is perfect for me, cute but potentially edgy - and she has a mouth, and she's not quite all over the interweb looking sad-but-cute. There, I've said it: I don't like the Magnolias. Oh somebody stop me - I have another whinge too - despite an excellent daylight bulb lamp, I can't do the necessary Copic practice after dusk..the light just isn't good enough anymore. I realise that this problem can only be my own - as in the number of daylight hours isn't suddenly going to be adjusted; it's more a problem of middle aged eyesight, and my goodness, that has really been on a generous slide this year. So I'm practicing with the pens and watching You Tube videos by some very talented colourers (is that even a word?) in snatches of daytime. Because I feel guilty about sitting around just 'colouring' when there are other things that can be done. Almost as guilty as I feel when I'm not learning how to use the pens and my erm, 'investment' is lying idle. Win win, huh!! Here's my lioness cub; she used to love her her face painted - the stroking and gentle painting used to make her nod off! Although less painty today, she's still drawn to things Lion-y and is very much the character of her birthsign. Amazing creatures, our children! The paper is BG Lollipop the alpha is a Heidi Swapp , the other bits are just that - bits! I got up deliberately early today. You see, Miss Dunnit and I have plans - nothing major, but a nice wander around Winchester with the boyfriend and his Mum. Winchester is all of twenty minutes from home, so it's not a full blown day out, but nevertheless, I'm looking forward to it; especially as the forecast suggests that the rain may not arrive before mid afternoon - and we'll probably be homeward bound by then. Bonus! It's 5 weeks since school finished and to be honest, we haven't done much. Being an only child means that Miss Dunnit is very happy in her own company, and plonking about at home is very much her thing. So of course, rather than be the motivated, let's-make-the-most-of-it type, I've let myself fall into the trap. That trap that lets me kid myself that it's OK to be crafting or doing 'my thing' because my easy going daughter hasn't expressed a preference or complained (not once) about being bored. So with a vague improvement in the weather, we're off. And that's why I had to get up earlier than I normally would for a day out. I need some time in my craft space. Really I do, it's important to me. I might not do much; check the blog, tidy up some bits and pieces (I'm preparing the work table for a more-than-one-LO-at-a-time trial) or try to whip up a card from whatever I was playing with last night, but I feel the need to have some time in here. I know we've had a discussion about how we can often feel at our most inspired just when we can't do anything about it. So you never know, a waltz around Winchester may very well be an energiser for the mojo as well as quality time for the mothers! This is Harry, he's our nephew. I've had this photo sitting on my desk for over a handful of days now, intending to scrap it of course, but not quite knowing the direction....I know, it sounds incredibly deep and arty doesn't it. But you understand really that by 'direction', I mean papers, colours and stuff. Everything really! Then Carmen and then Anne posted about a challenge sight that had inspired fab layouts from each of them over at Dotty Divas. I went off to have a look; it's a challenge as in - here's an advert, show us a LO inspired by it.. and Harry's picture came to mind immediately! It's absolutely not how I thought it would be; I envisaged lots more elements swirling around the boy and a slightly more subtle title, but these things have a habit of becoming something else in my hands! So, although it's quite a long way from the advert that is the 'inspiration', I have still got a LO I like, and that I think Harry will approve of! (The creases in the paper are, sadly, testament to very old stash and bad storage in the early days, hey ho). I have not yet achieved the art of translating from brain to paper - and the more time I've got, the harder that is...I can 'make' or fiddle over half a dozen cards trying various options and literally spend days moving things around on a LO only to decide that I don't really want them on the LO at all! I've mentioned before that Kirsty W works on up to five LOs at time which I think is amazing, but I wonder if this could be a reason - if an element doesn't work on one LO, try it on another? Unlikely, I guess! But I definitely intend to try Kirsty's approach - look out prom photos - all I need is to tidy my desk to create some room. Ahem. There may be the sticking point! Well, Miss Dunnit and I have spent the last two days prepping her room for a total redecoration. It's taken me 4 weeks of frustration and some shouting to get the room actually cleared and some badly needed sorting out done. We've washed, scraped, filled and sanded down. Yesterday we re-glossed the paintwork. It took ages, I was bored rigid by the job, but quite enjoyed singing along to Lady Gaga at the top of my lungs with my daughter, who thought we were incognito in the bedroom with both windows wide open! We had a spirited conversation about the radio phone-in show which we would not otherwise have had, which I must say put my mind at rest about certain teenage behaviour that I don't even want to think about, let alone deal with! Today, after Miss Dunnit got up at 12.30 (! ), we finished the woodwork, cut in with undercoat and then rolled undercoat onto the walls. There's only a bed left in the room, but we've had to work out a way to share a paint tray or pot without stepping over one another or leaning on some portion of wall or wood that has been freshly painted while your back was turned. There is no doubt that Miss Dunnit has had enough of me saying 're-load your brush, you're working it to death', 'don't let it drip' and other such advice! Having called it a day, we both immediately ended up in different parts of the house, looking, no doubt, for some space! Man, it was much harder work than I thought it would be! I'm typing with painty fingers and my ribcage is barely holding me up in the seat! I just know that tomorrow my arms will be dead. I'm glad that I'm helping out in the LSS tomorrow, it might get me out of doing another coat! Miss Dunnit and I have had the best two days. We've sorted through her bedroom and set aside that which she does not want to keep from her younger years and will be delivering to charity shops and recycling as much as possible in the coming week. Meanwhile, we've started to redecorate her bedroom; it's coming on really well and for me, the benefit has been the quality time that we've spent together. We've had conversations prompted by radio shows that we wouldn't otherwise have had, and we really work as a team. It's coming together and I'm really looking forward to celebrating the achievement of a new look bedroom with her. It will certainly compliment the next new stage of her life. It's all true....I mean every word in both paragraphs, I just think the erm, glossed up (geddit) version is so much more often what we see or at least read. Life isn't perfect, and with 5 children under 10 you can't go through life without exhaustion and shrieking. You can't. Where you get the time to do anything other than maintain sanity is beyond me, I'm full of admiration. But I laugh my socks off every time I read of an 'achievement' and of how Blessed the author is to be so enabled. Believe me, I have one child and in her early days, it was an achievement to put washing on the line and get it back in on the same day. Now is that under achievement or reality? You decide....I think I'm too busy reading the glossy blogs of the over achievers! These two cards were part of today's paper piecing workshop at Kraft Crazy. They aren't five minute cards because of the cutting involved, but they are quite effective, I think. I like at this stage of the year to chuck in a Christmas card; I think we all feel more in control of such things if we start early, and as you know, I am secure in my delusion! The papers on the Christmas card are from the new designer Christmas series from Papermania, and for the sheltering tree card, I used the last of a Laura Ashley pack that I bought last summer, I think. The text is stamped with a teeny alphabet, from words by Coleridge. A little culture with our hole punched tree, no bad thing! While this morning's workshop was underway, the shop was steadily busy. The usual requests for stationery and fabric dyes (the line between paper crafts and general crafts and stationers has been forever blurred). A very nice lady had a good look around before relaxing a little and asking for a couple of things, and when she realised that we were all up for a chat, she joined us. This lady said that she did parchment craft and didn't do any other card making and probably wouldn't. Then immediately expressed interest in the workshop samples, the cuttlebug, the adhesives we used and the frequency and subject of workshops. She said that her husband was fairly confined and so she did a lot of things at home and was happy for a chance to chat; we happily agreed that our workshops are pretty much our social lives (make of that what you will! ), and of course, we all had a good look at what she was going to buy. You have to do that, it's the law. Two reasons - you should always take an interst in what your crafty friends are buying because it's polite to share their excitement - and of course, there's a chance that they've picked up something that you haven't noticed and actually need. See, good manners lead to opportunities! All this from the kick off point of a workshop. I know we (I) can often be found extolling the virtues of the blogging community, and I mean every word. But really, if you can make your way to a shop for a workshop, the reality experience is every bit as good as the virtual! I had to wait for some daylight before I could attend the WOYWW meeting today - my craft space is at the back of the house, so doesn't get great light till late afternoon, but today seems especially dull. Good grief, how I'm missing sunny days. So, for those of you that work tidily, I'm not really sure that this is any sort of improvement from last week! Actually it's all one level at least - no piles (well not obvious ones of books balanced on boxes etc). I have the doings of a LO about my scrummy nephew on the table; Annie posted yesterday about a challenge based on advertising material at this blog and I went to look. And good grief, an idea jumped into my head - so now I'm trying to translate it onto paper. I started at about 10 last night and about 20 minutes later, DH announced it was bedtime...so I have quite a lot of 'translating' left to do! Today is also the 100th post for Annie over at Pretty (as the link above) - congratulations to you girly. I went through that barrier some posts ago without even realising it, and indeed, only this morning noticed on the 'doings' of the blog the little bit where the number of posts are counted. I can spot a pound coin on the ground at about 100 paces, but obvious stuff, well....sigh. Back onmy desk, there's a handful of cards in my lovely wooden 'mass production' holder that Mr Dunnit made for me - they're samples for a workshop...will be bagged in the general clearing up that takes place on a Wednesday. I conduct a workshop at my LSS on a Thursday (you know the one - with the telepathic Shopkeeper Gal), so Wednesday afternoons are reserved for kit preparations - and for that, I actually like to clear my desk! Well sort of - you can actually see the basket of stamps waiting to be cleaned in this shot (slight mistake) - but I don't know if this afternoon's clear up will extend to a clean up. I might not be in the mood! Anything else on the desk that raises a question in your enquiring minds? Do ask, it may be more interesting than anything I've been able to say so far! And then - share your work surface with us today, tomorrow - it doesn't have to be a desk..to be honest, it doesn't have to be Wednesday, but we like to do it once a week - it shows we're getting something done if there are any changes to the surface! Make a habit of it. You can even have a button - copy and paste the html text from the top left margin of this blog - add it to yours as a gadget and voila! 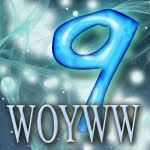 Annie's rich text skills will have given you the WOYWW button! Cool. Yesterday, for some time, I had the house to myself. I had time to blog and time to scrap. And so I did. I made up the LO you can see here, of Miss Dunnit and her gang, posing on Prom Night. It's on a piece of Basic Grey (Aged & Confused). I even managed to convince her to do a bit of her own journalling -a minor miracle. She did it immediately. This caused me to actually sing 'Hallelujah!' at her at the top of my voice, more than once - actually, more than is good for a body's throat, but never mind. Do you know what she said? Brace yourself. She said that she did it and finished it, despite having only just come home, despite needing to er, powder her nose and despite needing to log onto the waiting world of friends and stalkers because it would stop me pestering her for the rest of the evening and better yet, stop me trying to control what she wrote! Well! I would be speechless but a blank page isn't really a blog post, huh? I can't imagine what she means. By 'control'. OK I'm a spelling and punctuation fascist but I can't help it. Nor did I suggest what she wrote. If I'd suggested anything, it wouldn't have been to mention the pinning of the dress to the bra, would it? Actually, I'd forgotten that detail already, but nevertheless, you take my point. I'm sure perpetuity may want to read about how strapless Prom dresses were held up, but I wasn't thinking on those lines, for sure! Just goes to show how we remember occasions so differently, and of course, I do often remind her to absorb every detail of these life moments; as it turns out, she does as she's told. Which leads onto the other thing I did yesterday - I blogged. Quite casually. My, how you all jumped on my delusion about Miss Dunnit being a poetry reading-cartoon watcher whilst with her boyfriend. How you made me laugh! I assure you I'm not really delusional, in reality a better description may well be near hysterical. But, I've got more to lose than prove in terms of being a control freak over her life. So I'm allowing myself the delusion of poetry and daisies, whilst in collusion with the (lovely) boy's mother. Call it an 'informed delusion' if you like! So when I say I'm going to do some scrapping, it's more a distraction technique - let me have that one, will ya? "When she thought of him this way, she was overtaken with guilt, but also a peculiar, warm sensation that spread upward from her belly until it felt as if her face were glowing pink." Judith was also generous enough to include me in her Circle of Friendship mentions too, and as you know, I cheated on the distribution of it last week when Angie included me while Judith was on holiday, so if you're listed here as a 'follower' please be included! OK, I'm ready. Go August! So here's the August calendar, on the wall in the hall. That is ostensibly the best place for it because it's next to the phone. But of course, because this is the 21st Century, we have a 20th century cordless phone. This means that chatting and date setting are done from the comfort of - well usually an armchair, but to be honest, anywhere other than the hall! Let's face it, sitting on the stairs whilst making a phone call only ever happened because the curly wire would just about stretch that far, it's not exactly the number one spot for comfortable yakking is it? The lovely fresh paper I used is from K & Co - Citronella. I trimmed about 2" off one edge to make it slightly more portrait shape and used the reverse side to make the bar across the calendar top. Talk about a five minute page; but it had to be quick, as it's 3 days late! It's glittery and citrussy and I really love it. I bought the pad - the pad! Not even a couple of sheets of my favourite patterns! This is entirely because Shopkeeper Gal is a shrewd woman who knows what her regulars like. Oh yeah. I'm not telling you anything I haven't already moaned about to her face when I say that I'm utterly convinced that she engineered my presence in her shop to coincide with the arrival of the K & Co delivery. And honestly, I had to buy the pad because I was frightened that someone else might if I didn't, and then I wouldn't have it. By the way, and just in case you don't know - I'm old enough, frankly, to have grown out of this behaviour. So there we are, I have a lovely pad of bright fresh summery papers which appeal to every fibre of my colour chaotic brain, and a deep and horrible fear of the size of the patterns on almost every page! Justice I suppose, for being such a fool over the shopping part! I've done a shed load of very mundane jobs so far today. Here we are at cup of tea time, Miss Dunnit has gone to her boyfriend's house to read poetry and watch Manga cartoons I don't doubt, and Mr Dunnit is at work. There is sunshine on my work table and so, well it would be rude to resist a bit of scrapping, huh! Gosh, I've been so immersed in other stuff that August has crept up on me and I'm not ready! That is to say that I haven't done the calendar LO; so in my house it's still JUly. And there you were probably thinking that I did 12 months of calendar LOs all at once - yeah right, I'd love to give you that impression, but I'll have blown it within a week, so no point really! Yesterday was crop day for me. Cricut Queen did us a fab 'lesson session' on the paper flowers - go look, they are really fab, and now I have a beautiful anenome to grace a LO..but like all new things, it may be awhile before I can actually use it! I did this LO yesterday, but haven't journalled it yet. Am pleased with the photos and know that my sainted Mother might well like to own the page (the guests were after all, her guests at her Golden Wedding Anniversary party). SO I'll talk to her first..she can have the page to add to the album that I know she's started, or she can have copies of the pics. Isn't digital photography too marvellous, how much more sharing people have become with their pictures since we didn't have to fiddle about with negs and processing! I was telling the crop-ettes that I have been totally and overwhelmingly inspired by the Scrapbook Trends magazine. I've only got July and August editions, but no matter, these could probably serve as inspiration for the rest of the year. I don't know why particularly, because work of the calibre to be found in its pages can be found elsewhere (have any of you heard of Helen Miles? ), but something speaks to me. Maybe it's the total package - I mean, a square magazine. Love it! I've noticed a couple of things (!) about it though and I know Mary Ann over at UK Scrappers was discussing this phenomenon recently - its all about the single page LO. The other thing that has struck me and is indeed inspiring me is the number of LOs that have a plain base paper. I know things come around and go around, but say six years ago when I discovered scrap booking, it was pretty much the way I started (sort of CM style I guess). Right now it's really helping me though, I feel much braver about mixing my palette (I'm off again, getting all arty, love) and the uber patterend papers that I love and am utterly terrified of using are actually making an appearance on some of my pages. Stash shelves are heaving a sigh of relief as long-stored papers are removed for use! Have I missed this as a basic start point for most LOs featuring patterns; is it indeed, a basic design principle? Probably both. But at least I've got it now. For now, until I find something else that I don't seem to do but which everyone else has been doing for yonks. Born to be a follower, me. As for August...hmm. Maybe the Dunnit house will start August tomorrow. Because right now I have to go to the garden centre and pay my lovelies some July like attention.